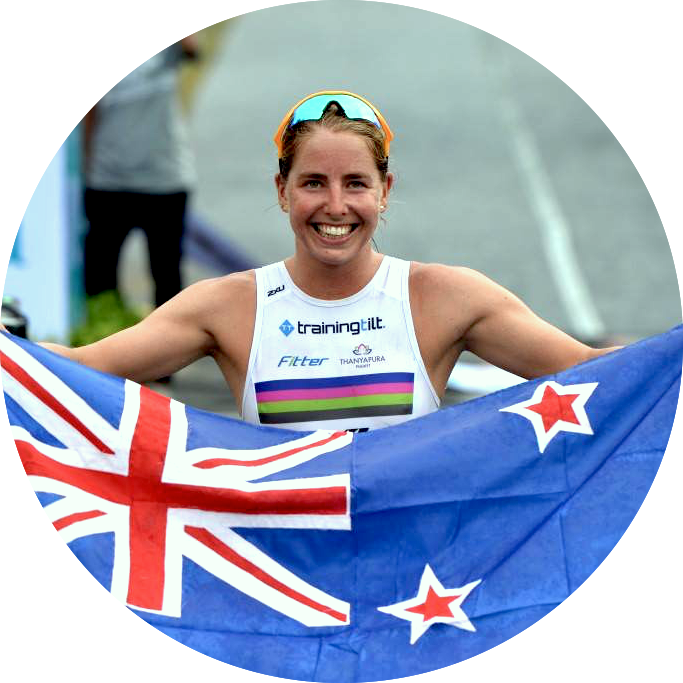 After being overseas for the past 7 months I'm back in New Zealand for Taupo 70.3 tomorrow. The diversity of people, culture and challenges has been eye opening, inspirational and rewarding. And it has confirmed my pursuit in Professional Triathlon and to continue to get as much out of the lifestyle as possible. My pursuit of being a professional triathlete is interrogated every now and then. I get asked; why triathlon? (instead of any other sport), how do you make any money?, what do you do once you’ve finished training each day?, how do you know when you’ve reached your pinnacle?, what will you do I when your career is finished? And so many more. For a while I didn’t have answers to these questions, even in my own head. To clarify and justify to myself, as well as everyone else, I got out pen and paper and started to mind map it all out. This was one of the best exercises I have done and poses really good questions that I think shape the path anyone is pursuing in life. What am I super passionate about? Work out what drives you. Our passions give us purpose and make us excited about the future. I’m passionate about new experiences and challenges. I like travel and culture. Absorbing new ideas with refreshing perspectives. I like the physical and mental toughness of exercise, the endorphin high, the rewarding feeling, the aching muscles and tiredness. I’m passionate about learning as much as possible and sharing it all along the way. Triathlon is a combination of my passions. I get to do what would otherwise be my hobby; swimming, biking and running. I have also discovered I am good at it, and everyone is drawn to success. I love the freedom and flexibility it offers. It’s my own enterprise and I can create as many opportunities out of it as I want. It’s an honest challenge that rewards me for exactly what I put in, there's no cheating the system. I get to socialize with people without food or drink involved, and be a part of a likeminded generally outgoing community. It takes me all over the world, gives me character building experiences in unique destinations and a glimpse of cultural immersion. The sport also has gender equality. I love that athletes have a reputation for being mentally tough and having a zealous tenacity and I strive for this. As long distance triathletes (non-Olympic sport) we generally get less assistance from our federations. It forces us to put our selves out there and learn the art of business and partnerships a little faster. We plan our own season circuit and travel arrangements, visa applications, create content for media, online publications, do interviews, engage with supporters and sponsors, manage financial matters, and prioritize our physical fitness, recovery, heath and nutrition. As athletes we have an incredible work ethic and an ambitious mindset that gives us really transferable skills for a more typical career choice, and in life. We understand the time and perseverance it requires to get results. Fitness takes weeks to build up, you follow a structured plan and allow for recovery. We learn to commit to a vision and be resilient to pursue it. If you get injured or sick you treat it as an opportunity to come back stronger or on a different path, rather than treating it as setback. Race seasons teach us goal setting, the process to achieve them and how motivating attainable goals can be. We learn to surround ourselves with likeminded, driven people. We manage expectation and high pressure situations and develop the key skill of being flexible and adaptable. I think I’ve surpised myself in how much of an impact we can have in the sport. Don’t undervalue what we can actually give back with some of our time. Sport is an outlet for so many people, for stress, weightloss, self-confidence and to be part of a community. If we can give triathlon a positive notoriety, inspire and motivate people along the way it’s an amazing accomplishment in itself. We inspire with our physical prowess and with our passionate persistence but I’ve also discovered people really appreciate it if you’re open about your obstacles and challenges and share how you overcome them. That’s real life. People want you to be transparent and want to be able to relate to you. How am I going to become successful? Race results are one thing, marketing myself is probably more important. We can’t all be world champions. Frequency and consistency are key in marketing yourself, put yourself out there and race often, use social media and take up as many media opportunities as you can. Finances: Money is by no means the driving factor for being a Pro triathlete, but its important to work it out if we want to make it a sustainable lifestyle. The initial goal is to be able to cover your costs after expenses, which are decent with the amount of travel we do. If you’re actually 'making it' as a pro the rule of thumb is prize money should equate to one third of your annual income with the other income made up of sponsorship, bonus schemes, salary and product remuneration. If you are reliant on prize money alone, what happens if you get injured or sick? Over fifty per cent of pro licensed triathletes supplement their income. Marketing: I originally compared a professional triathlete to a business on the basis that initially you run at a loss before you make a profit. But on a whole as pro athletes we align really well with a lot of entrepreneurial strategies and can learn a lot by approaching our sporting career similarly to a business start up. Don’t undersell yourself, view yourself as a brand with your own identity. I am Amelia Rose Watkinson and I do triathlon (rather than I am a triathlete). When it comes to building partnerships you are a marketing tool for them. Instead of competing you need to create a competitive advantage, what can you offer differently to every other athlete, what is your own individual skill set, how can you maximize it? Engage with your supporters and competitors, be encouraging, we want the whole industry to grow. Branch out to similar industries too and be generous with your expertise. Businesses like being socially responsible and investing in philanthropy. Who is our own audience, and who are our sponsors/partners target markets? You want your vision and mission to align with theirs. You need to promote a positive image for their brand. If you’re on the front of a magazine in your race kit with their logo on it its better than them paying for ad space as they are automatically associated with more. What motivates people to invest in you and how do you have a positive affect on them? The desire to be fit and healthy is huge. We are fit people and we have a lot of flexibility. People strive for this. Sell our lifestyle or aspects of it. Reminding myself why I started is such a good form of encouragement. My go to motto is ‘nothing worth having comes easy’. Surprizingly #prolife isn’t always easy, it gets lonely and boring and financially difficult. But I’m striving for what I’m passionate about, working out why and why that why, and how to make it all happen. When people ask me what I do, I use the opportunity to show my passion for triathlon, market myself and give them a bit of an insight into the sport, its surprising how life changing doing your first triathlon can be.